DAY 6-NEEDLES, PINS AND OUCH??? Our binding needle is a huge hit!!! If you hate to bind…your probably not using the right needle…if you love to bind and are not using our needle…you MUST try it…you will LOVE it! NOTE:the single needle look like they are not on sale until they are in the cart…hten they are $5. Or you can buy an assortment pack.. Jess has also found this beautiful hand turned needle case…it has a ring on it so…you can hook it onto whatever you desire and you are always ready to stitch…We know some who stitch in traffic jams…needle on your key ring? Why not!!! Glass pins- are also on sale…these are the fine pins we use for piecing and they are in every pincushion I own.. Magnetic Spool Holder- These fun “spools” are beautitully made and are a different alternative to a pincushion…there is a variety of beautiful colors to choose from…these shown here and blue and teal..Click HERE to go to the Site to purchase today’s items… That’s all I have today for you…We had fun yesterday…here are all the presents under the tree for for the girls…we also had an ornament exchange.. I love to visit and catch up with everyone!!! I go to two or three Christmas parties. Mostly snack and maybe a drink or two but mostly I enjoy the company. I love looking at their Christmas Trees and. decorations. Just a couple this year – I hosted one at my house it was my bookclub we ate & then discussed our book! It was a murder suspense not very Christmas!! Quilt club parties are great….we play quilting bingo, word search and fat quarter left and right gane. We have an ornament exchange, they usually get one from me made with your patterns and it is a hit. I’m not really into Christmas parties…but I love your needles! Now that I am retired, I only attend one Christmas party. We eat and just enjoy each others company. My small quilt groups (2) each have a holiday meal together at a local restaurant. For one group we draw names earlier in the year to have the year to make the perfect gift for them. My other group exchanges gifts through a game. Typically the gifts are quilt related and a ton of fun! Our local quilt guild has a wonderful party where ornaments and potholders have been exchanged for years as well as donations brought in for a designated local charity. All include wonderful conversation and great food!! I usually attend 3-4 Christmas parties. My favorite is playing a game for a gift exchange. I went to one party and loved being able to catch up with everyone’s lives. Tell Kathy that I love love that quilt. I’d love to know where she found the blocks for this quilt. Thanks again for all your hard work. I can look forward to several annual parties and family gatherings each year in December. I suppose the main focus of most of them is food. But we do play left, right , center at our guild party using fabric as the tokens and the winner get the pot. Our December bunco gathering includes the usual round of games, but the twist is that the losers get a bonus prize each round. My favorite party is the toy collection and wrapping party with work. I love having something to do at a party and this one is so fun and is a great benefit plus doing good for others means the calories do not count right? I know im not answering the question of the day, but these needles are not only great, theyre labeled! I can never remember what needle does what. Of all the useless things i can remember, this doesnt stick. Best idea ever! Several parties and enjoying everyone’s company. Love hosting our immediate family and having all together at the same time. I love that your needles are labeled as well! DeDe you are not alone!! I have one “girls” quilting party that I go to each year. Due to the busy schedule this year we all met for lunch at a restaurant but usually have a pot luck brunch and exchange gifts. Many are handmade…..so many creative people!! I love the games! A close 2nd is the food, especially if it is a potluck. Amazing how many tasty recipes I’ve collected from potlucks! 3 Christmas parties with quilting friends. At one we played a game where there were small gifts wrapped in plastic wrap and them wrapped in a big ball of plastic wrap. One person unwraps while another rolls dice till they get a double and then the ball gets passed on and it repeats till the ball is gone. Fun time. And of course food! My favorite thing my sewing group does, at our party, is an ornament swap. Everyone brings an ornament wrapped in a fat quarter. Then we have to tell a Christmas memory. Some of them are hilarious, and we make people re-tell those. Every year, when I decorate my tree, I see those ornaments and think of my quilting buddies. There were 2 parties for us this year. The most interesting thing was with a group of about 30 woodworkers plus spouses. Lots of people brought hand crafted items for door prizes, plus there were a few commercial tools. If your name was called, you picked a prize. The first prizes picked were ALL the handcrafted items. Our sewing group had a Christmas party 2 weeks ago, the food and gift exchange are great but the best part is the friendship we enjoy. Of course it’s the eating at holiday parties but just getting together with friends and family is wonderful!! Christmas party- with my quilt/sewing group. We dont work on any projects that evening; we chat, bring appetizers to share, and do either a random name draw, or read a story for a left/right pass for our gift exchange. I have 5, 3 of them with stitching buddies! I love the chinese auction of presents that we do – it must be a stitched item and we plan all year what fantastic item we are going to make! The food at our potlucks is Martha Stewart worthy! Fun times! It’s all about the food at our party! I had no idea there were special needles for binding–I guess I’m out of the loop! I attend one office Christmas party and there is an gift exchange – you can pick a gift or steal someone else’s – lots of fun. Then the Quilt Guild hosts a Christmas Tea where the executive provides the goodies. Lots of xmas quilty show and share and they raffle off the poinsettia’s that are on the tables. This year only one Christmas party. It was a subdued, but enjoyable gathering. Santa came with presents for the one child in attendance. We had door prizes and a raffle. Too many parties this year, if there is such a thing! I’ve already been to 5 or 6 and I have two more to go. I love to see how everyone decorates their homes and enjoy spending time with friends and family. When I worked I attended a lot more, but now, just one or two. I love the food! We don’t go to any Christmas parties! My husband used to have a work party but he retired 2 years ago. I attend 4. The white elephant gift game is a popular one!! I hosted 2 Christmas parties this year ( originally was not scheduled to do either one). One was for my book club and the other for my quilting group. We had a luncheon at both and played games with prizes. The games are always fun. It is a relaxing day even though I was the hostess!! I usually go to 4 parties each year. My work party, in-laws, host my family, and also attend family Christmas at my cousins back at my mother’s hometown. The best part of Christmas is catching up with everyone and realizing your blessings. In 20 years, I’m not going to remember the food, the drink or the gifts. If anything I will think of the people I shared the time with. PS – Love the spools and the sheep! 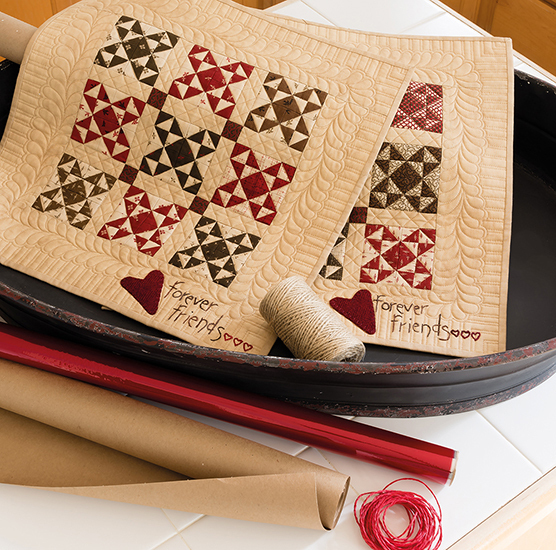 I must try the needle case as I always carry a hand piecing project often in a Ziploc bag. I have stuck my self a few times when pulling my project out of my purse. I need to try those binding needles too. I love playing games at parties. And I like to plan them just as well! This year we are playing a game involving Saran Wrap. It’s a game for all ages. I have never played this one before, we will see how it goes! What a lovely tree Lisa! I attend a few Christmas parties, less now that I’m retired. No office party, but the most fun thing was always the White Elephant exchange and stealing a good gift! I go to a couple of Christmas parties. I love to play games and visiting with everyone. I love your needles and I’m going to get some for my quilting friends this year. No parties to attend here. I tried to get the neighborhood together but no one was interested. I really like that spool pincushion~ how fun! Several Christmas and Birthday parties this time of year. Some with finger food, some full meals and ALWAYS WINE ! Our Christmas parties revolve around our family gatherings. Everyone contributes some special food dish. The traditional for our part are pineapple upside down cake and shrimp salad. No Christmas parties this year. I usually attend the church Christmas party but this year I was unable to. Just attended a live nativity at our neighbor’s huge barn last night–complete with donkeys and a camel! It was our church party. I have a couple of family parties, too, but most of my friends agree that Christmas is a time to avoid scheduling more to do. We get together at other times. At the family parties it is mostly eating and a gift exchange, but we sometimes throw in a fun mixer game. I love the needles of yours that I have used. Didn’t know you had so many options. I need to try more of them! Eating seems to be the focus of all the holiday gatherings I attend. 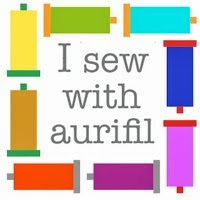 Talking quilting, catching up, sharing finished projects and ideas for new projects and of course sharing recipes! It took me a while to try the binding needle but I do like it. I have always used a tiny needle so it took some getting used to. Thanks for all your new ideas and notions. It’s fun and even though the prizes are not expensive people “fight” over one or two! Two parties this year. Love getting together with family and friends. Also, the food, games and singing Christmas carols! Your needles are the best!! No parties before Christmas but a work Holiday party mid January. Love the selection of needles! I go to 3 parties with groups I belong. Food is the focus, social time and a gift exchange. Usually a game is involved to see which gift is given to members. We have a family Christmas that is attending Christmas Eve service and singing Christmas Carols. Tradition each year that grows. Your needles are on my list as I want to try them. We just have one or two parties. But it is always fun to go to our family party. We eat our annual “junk food” dinner on trays in the living room as we open gifts. Its actually great food, like bacon wrapped water chestnuts! Its a really fun night. I also love that your needles are labeled! I find that so helpful. I have several parties to attend. However, my favorite is the family party that lasts all day Monday and continue into Tuesday…Christmas day. My littles love the game we play, which is a ball that is created with tons of gifts inside and wrapped in a couple boxes of saran wrap. You can find the saran ball on Pinterest..or call me and I will explain how to create. You set a timer and pass the saran ball around and whatever gifts fall out on your turn are yours to keep or trade at the end of game. The littles talk about this all year long….and we collect gifts all year long. The adults like it as well, because they get lots of fun extras! Merry Christmas! Just one, but it’s awesome! A high tea with my quilting friends. We just had our guild xmas dinner party. We always do a xmas craft. This year we did wreaths with mason jar rings, fabric choice was homespuns. We also wrapped plastic candy canes as well. Last year we made beautiful xmas cards, they are like paper piecing in a way. Its called Irish folded cards. They are all so much fun to make . Really like your needles. They are identified with what they work best for. They are in containers with lids, they last longer than the needles I used to use and last, they are affordable. Really like Christmas parties where everyone brings food to share but with it they also bring copies of the recipe they made to give to those who want them. Fun game: mystery name tags – each person brings a wrapped stitching gift (can be a pattern, small kit, wool mug mat, pin cushion, etc.) the name of the gift goes on a name tag that is placed on the back of one of the fellow guests. Then you go around the room and ask 1 question of each person in the process of trying to guess what is on the name tag you are wearing. End result is guessing what your name tag says and your prize is you get to keep that gift. However, trading gifts with each other is permitted. This game really works nicely as an ice breaker if your group is not comprised of people who know each other really well. Had 4 parties this year and we love to spend times with friends and enjoy great food and drink. No parties to attend this year. We do have plans to enjoy Christmas Eve with my new daughter-in-law’s family. 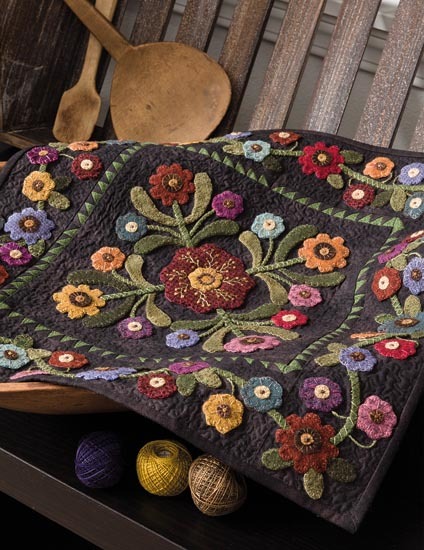 I love using your chenille needles for wool applique so I think I need to try the others and the needle holder is gorgeous. Merry Chirstmas! Seeing everyone and catching up is my favorite part of Christmas parties……and eating is a close second! Just one Christmas party this year at my quilt guild. One of the games we played was fishing. A pole with a magnet on it and you had to see how many safety pins you could pick up. This was a team game and then the team with the highest total of pins won. 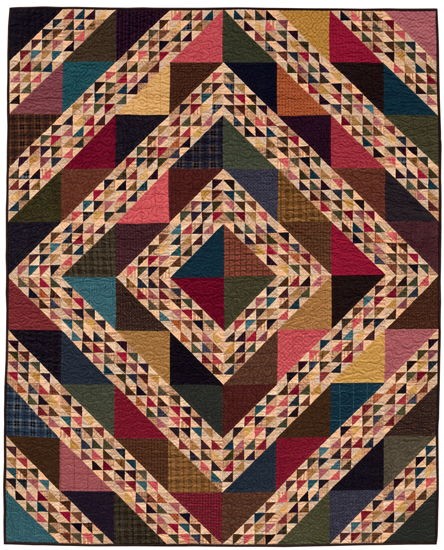 how do I get the pattern for that quilt? Lisa, your house is beautifully decorated. My daughter had a fun Christmas party this year. Everyone was encouraged to wear their pajamas. She had a scene wall with props for photo shoots. Pancakes, breakfast casserole and other yummy breakfast foods were served. Everyone brought a wrapped ornament and drew numbers to see in what order you chose a gift and opened. You could choose an unopened one or steal from someone else. It was a lot of fun! Just one party-but it’s so great to get together and catch up with everyone. Ofourse I love sampling all the food too. Right now, I am binding my third quilt this week. Your binding needles are my favorite notion in the entire world. Everybody should buy them. They make binding so much easier. About 4. Most arejust small gatherings of friends. The best part is just being together and sharing our stories. It’s all about relationships. We have an open house and go to 4 or 5 others. We have a sort of white elephant exchange but the item must have been made by you and no longer wanted/needed. I don’t attend many, but my favorite is the family party with my kids, and my work party with the balls from Village Dry Goods. We have fun and laugh and eat! I attend two xmas parties each year and both are potluck. Great food. One we donate gifts to a local shelter and one we have a secret Santa. My favorite is the food. I love the eating – games are ok but I love just talking with everyone! I go to our church dinner. Always fun. We sing the Christmas carols lots of fun. Just one Christmas party this year, it is a girls group that we get together only once a year. So we sit, catch up, eat and have a cocktail! I go to two or three parties and love catching up with people and eating the delicious food. Everyone brings their best to Christmas parties! I attend about 5 partiies during the season. Favorite things are eating and playing 42 dominoes with family. Love your binding needles! Eager to learn what the others are used for in my new adventure into wool work. I usually just attend one party at our church every year. No Christmas parties this year. I used to host big Christmas Eve parties but no more since the kids are grown. I must try these needles! I’m not going to any parity this year except the ones with the family. 3 parties this year. My guild has a party at a restaurant with a meal. My mini groups have food mostly potluck style and one group exchanges gifts. in lieu of an office party – gift exchange (we have a small group about 11 people) we “adopt” children from one or two families through CPS and purchase several gifts for them. Then we have an after work party with snacks and wrap the presents to be given to our family by CPS. Gives you that warm fuzzy feeling. Tomorrow is my quilt guild’s Christmas party with the fat quarter right left game. Always good food, too. Unfortunately 3 of my buddies will be missing. Then there’s a nephew’s open house with more good food & hopefully the newest baby attending as she lives out of state. So it’s visitation while eating goodies that occupy my party time. Going to check out your binding needle as I just recently bound a baby quilt all the while being happy it wasn’t larger. I go to two guild Christmas parties, the food is the best and stitching with friends….Your needles are great! Especially the binding needles, after sharing how wonderful it is to stitch binding with your needles; my friends have purchased the needles too. Your needles are my favorite. Now all we need are some needles for EPP! Very fun and darling pin keeps! And oh your tree, heavy sigh! We are going to CA for Christmas so no tree for me this year. Next year, however, I will have a tree regardless. I made 20 PG wool ornies for my stair garland to pacify my tree needs. Love them all! I attend 3 or 4 Christmas parties a year. When our children were younger, each family would perform a skit or song at the family party. There were some really adorable, hysterical, memorable acts over the years. Three or four small holiday parties. And a few gatherings for coffee. The best part is the chance to slow down, catch up with old friends and promise to meet again soon. I look forward to your “needful things” list every year. So any good things in one place. 2 or 3 Christmas parties a year. The best part is being able to visit with friends and the potluck food. I go to several since I belong to a number of stitching/quilting groups. They are all fun, because we do a lot of laughing, eating, and today we had a gift exchange and sang a quilter’s version of the 12 Days of Christmas. I go to at least 4. I enjoy talking the most. So many friends to catch up with. We attend 2. On Christmas Eve, we have an appetizer party and watch Christmas movies while we track santa on the santa tracker. On Christmas day, we go to a holiday brunch. We spend the day opening gifts, doing Christmas activities, homemade word puzzles, activity sheets and playing games like scattergories and card games. One party for me, with my crafting friends. We have a potluck and do a white elephant exchange. Then it’s time to show a favorite craft finish and the story behind it. I always come home wanting to start new projects! Cookie exchanges are always fun! Reduces some of the baking pressures, this time of year. Also, we play the trading dice game. We choose a type of fabric, 5 inch squares (reproduction, batiks, Christmas print or a particular color). Similar to Left, Right, Center…roll the dice, choose from the center pile, trade or take from another player. Always fun and there aren’t any loosers! Lots of family get together with a lot of eating. Great memories. Love the party food this time of year! So the more parties the better. I’m a bit of a party pooper. No holiday parties for me this year. We do however go to a nice restaurant for a luncheon with the Management team where I work. It’s always a good time and something we look forward to each year. I bought some of your needles last year. Love them. The magnetic spool pin holders are adorable. Another needful thing I need too. I’ve only attended one Christmas party this year. It was a rug hooking group and my first time meeting them. I’ll surely go back as often as I can! We didn’t play any games, but I like the one where you roll the dice and pass the presents. The White Elephant “game” seems to be popular this time of year. When I was working at Daniel Freeman Hospital (a Catholic hospital) in the 80s, our department which included some of the Sisters, had a white elephant exchange. The funniest prize was when the CEO gave our President, Sister Regina Clare, one of those plastic owls that you put on top of buildings to keep away pigeons. It was a hoot (pun intended)! I attend a couple parties each year but hands down best is quilting potluck and fun gifts. Been together over 25 years for most members. I need to order needles! The best Christmas party we attend is with my husbands family. They are always fun to be with and always so thoughtful too. We only receive 1 invite to my husbands work Christmas party. We didn’t get to attend this year as we were out of town for family time. We don’t have a lot of friends and with a special needs adult child you just don’t get the invites. My husband and I flew to Australia for Xmas this year to be with our daughter, so we did something we’ve never done before on Christmas, went to the 🏖 beach! & made some Xmas goodies here! So had just couple parties with family & friends, stitching group before I left. I’m the hostess with the mostest, we have a family theme night on Christmas Eve, this year’s theme was “PLAID TIDINGS” … come dressed in plaid, you may win a prize. The King of Plaid was in a kilt, a white shirt, matching plaid tie and a top hat trimmed with a plaid ribbon…he won hands down (I think because he looked ridiculous and was brave enough to bare his legs in winter in Western New York)! The Queen of Plaid was in her jammies with a plaid shawl, socks, bows on her slippers, also funny. We had a Lad in Plaid and a Lass in Plaid, and … an award for SAD IN PLAID… my niece’s husband came in his usual jeans with a shirt (tiny plaid), sweater and suijacjet (almost invisible plaid). SAD IN PLAID got a lump of coal! And a lottery ticket. Good sport, he loved it, and now that he realizes not cooperating means winning he’s set for future themes. Next year’s theme… A NIGHT OF SONG… come dressed as a Christmas Carol! After all that partying, I can only manage to go visiting if it involves jeans, quiet music and good wine! Very pooped! suijacjet … see above… is actually SUIT COAT… thank you, spellcheck, for rarely doing your job!